Reblogging in honor of today, February 28th which is Rare Disease Awareness Day. Side note: Next person that tries to cure my kids with a bottle of herbal remedy is getting straight-up spanked in the face. I’m from Flint. I can harm you. 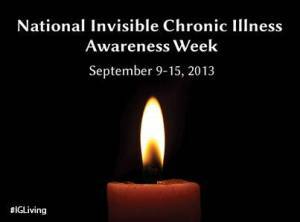 So we’ve seen the little meme’s floating around Facebook about “Invisible Illness Week”. Bloggers are blogging, Tweeters are tweeting. Shouters are shouting. Heralds are heralding. I happen to be a blogger who lives with chronic illness, so guess what I’m going to do? Yep. I’m going to start shouting in 3, 2, 1…. Digging around in an old box, I came across this story I wrote back in high school, approximately a couple-few hundred decades ago. Surprisingly enough, I was actually NOT on drugs in high school. Nope….this mess was written with a clear teenaged mind, though quite possibly somewhat addled by hormones and a not-so-slight caffeine addiction (yes….even then.) Of particular note, let’s examine the phrase “…I’m gonna kill you deader’n Elvis”. That my friends, THAT, well now, that’s just fine literature right there. There comes a moment in every woman’s life when she discovers the need for a male companion. Camille was no different. She was merely a vulnerable young elf on whom Fate played a cruel, detestable joke. As Valentine’s Day approached in the land of Winken, young Camille began to feel depressed. Nearly all of her close friends were seeing life through rose-tinted glasses as a result of their blooming love-lives. Camille felt left out. And so each night when her head hit the pillow, silent tears dampened the sheets, as she cried to Cupid to send her that special Someone. Now, as not all realize, Cupid is not happy with his job. No, if Cupid had had his own way, he would have been a Philadelphia lawyer. But Destiny won out, and consequently, Cupid is stuck with this lovey-dovey sickly-sweet matchmaking career, and he despises it. One afternoon, Cupid finally became fed up. That happened to be the afternoon when Camille was crying her hardest. A small, malicious grin spread slowly across Cupid’s face. Now, here was a desperate elf. “She wants a honey, I’ll give her a honey,” he thought sarcastically to himself. And at that moment, Cupid sealed his own fate. Across from the land of Winken is the land of Blinken. In the tiny land of Blinken lived a troll by the name of Nod. Nod was just about as desperate as Camille when it came to this love business. Nod was nice-looking, as trolls go. He even had good hair. There was one drawback, however. Nod was mentally unstable. Here, Cupid found the ideal opportunity to gain revenge on Fate. He sent Nod an arrow with Camille’s name, age, address, phone number and shoe size on a note attached to it. So it came to pass that Nod, smiling like a ninny (because, you know, that is how the mentally unstable smile) hopped into his rhinoceros-drawn carriage and headed for Winken. At the same time, Camille had received a similar note that demanded she meet the love of her life halfway between Winken and Blinken, underneath the old Georgia pine in the town square. This took place on the tenth of February. By Valentine’s Day, everything was going well. In fact, there had been some talk of marriage (although, as we all know, when a troll and an elf interspecially marry, they are exiled to the land of Yonder) but nothing definite had come about. And Valentine’s Day went especially well for the lovebirds. But on the 17th of February, disaster struck. Nod’s mental illness went haywire. He was in the middle of basting a pelican for supper, when suddenly he felt something snap in his small brain. With his orange eyes growing wider and an evil grin spreading across his face, Nod raised the basting brush above his head and started running after Camille, shouting “I’m on a mission from my god Zoro – don’t be afraid, my darling, I merely want to baste you!” Camille sprinted to a neighbor’s cottage and phoned the Elf Patrol. “There’s a crazy troll after me!” she cried after dialing 911. “Keep running!” they advised her, “Once those unstable trolls get going, there’s no stopping them!” So Camille ran until she stumbled into the town of Hither and reached safety. There she cried herself to sleep under a rock. With terror in his eyes, Cupid realized, too late, that his little joke had gone awry. “I’m sorry Camille, and I apologize if I caused you any pain.” He almost looked genuinely sorry, too. But Camille would have none of it. She slit his Achilles tendons so he couldn’t get away, then forcefully she tossed him into her pigmobile and drove faster than the wind to a steep ravine on the edge of Yonder. She tied him to a great big oak tree. There, using the excellent bomb-building techniques she had learned from watching “Macgyver”, she took a shiny black stone, hard boiled it, wrapped some sun-dried grass around it, dipped it in some leftover blinker fluid, set it under his feet and then, using a magnifying glass, Camille set the bomb aflame. Hence, the end of Cupid. Now, three hundred years later, Camille is happily married. She has an abnormally large family of munchkins and she and her husband Willy live in Oz. Nod died – he drowned in his own basting juice. What a sad end to a sorry life. The moral of this story is to be content with what you have, don’t hurry love, and for Pete’s sake, if you truly want to be a Philadelphia lawyer, follow your dream and rebel against Destiny. 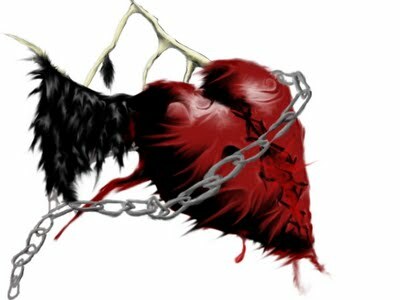 Have a fantastic Valentine’s Day.